Smartphone cameras have reached the sort of quality that we could only dream about a few years ago. Even though they often have tiny lenses, companies are packing in so much technology these days that they can take some fantastic photos with very little input from the user. However, framing a photo is still something that many people struggle with. So even though they have a camera all the time in their pocket, using it is a different matter. Getting that perfect picture that ticks all the boxes can be difficult, and although there are many architectural photography tutorials available, you want quick answers, yes? Well, here are eight sure-fire ways to help take your photography to the next level! Buildings are great. They have angles all over the place, and you can use this to your advantage. 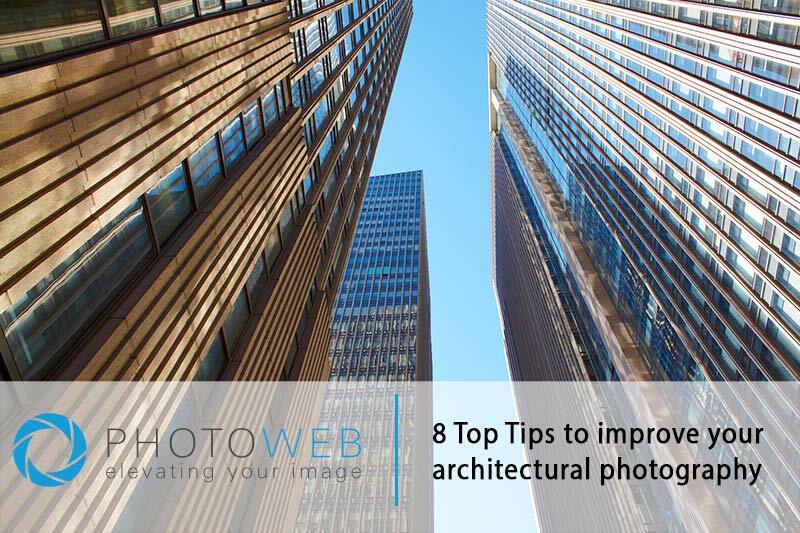 A tall or long building will give you the ability to mess with perspective, so move your camera around. Watch where walls converge, where angles make unique shapes in the frame. When using a camera phone or digital SLR, you have endless chances to get this right, so take your time and take plenty of photos. Very often I will take lots of photos of a scene and at the time not think that any of them are any good, then I get home and load up my editing software and suddenly realise that I have a gem. It’s probably something that many professional photographers would frown upon, but I’ve heard many of the world’s top snappers say that the secret to their success is that they take lots and lots of photos. If you have a digital SLR then you’re only limited by your memory card, and even the cheapest ones can hold thousands of photos these days. Lighting affects everything. Anything you can take a photo of will take on a dramatic new look with different lighting. This could mean sunlight, moonlight or artificial like. If you’re taking a photo of the exterior of a building, then look to see what lights are available. Some have great uplighting when the sun goes down, and if you can persuade the owners to turn the lights on early, say at dusk, you might see something pretty special. Many people want to wait until the top of the building is going to be bathed in golden sunshine, or set against a steel-blue sky, but often some of the best photos are taken when the sky is moody or cloudy. Rain can add to the mysticism of some buildings; snow can make it look crisp and clean. Either way, experiment with the building you’re interested in and try lots of different weathers – don’t be afraid. Maybe protect your camera if it’s raining though! Without people, a building ceases to have a purpose, so feel free to include them in your photo. You can get some incredible photos by blurring motion in the foreground while capturing the full majesty of the building, showing it to be imposing, yet alive. 6) Remember – post processing is OK! While many people are proud to post their photos with the #nofilter hashtag, it’s very rare a photo makes its way to public consumption without having some processing. If you’ve take a photo and you like it, but wish it would ‘pop’ a bit more, get it into your favourite editor and alter the colours, the lighting and any number of other tweaks. Yes, your phone and basic SLR can take a great photo, but you know what? There are some photos that just require better equipment. If you have recently taken on a commission, or you’re doing it for your own property company or hotel, then consider upgrading, and remember that the processing many mobile phones do to photos often renders them unusable for magazines and other high-quality publications. At every chance, take a photo, see what it looks like. Keep a notepad near you and jot down when you take a particularly good photograph that you like. Write down what you did, how you did it and what made you think that it would be a good photo.